Your Mum is the centre of your Universe, she is your cheer squad, your chauffeur, chef and your best friend. Spoil your mum this Mothers Day with beautiful portraits that your family will cherish for generations to come. 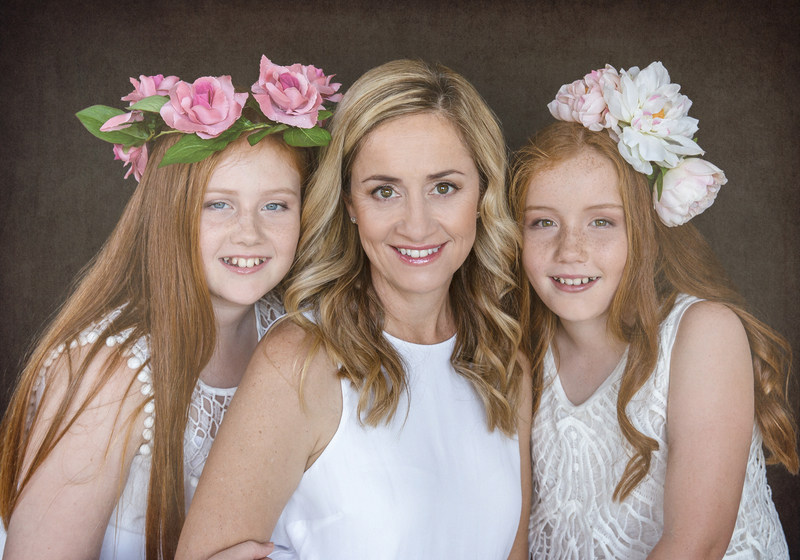 Your Mothers Day Portrait session can be all about Mum only or if she prefers, it can be a Family photoshoot. It starts with a styling & design consultation to find out how Mum would love to be photographed. On the day, Mum will be pampered with hair & makeup and be guided through her photoshoot from start to finish! (total approx 2.5 hours) At her personalised viewing session, she gets to choose either a Frame package or a Portfolio Box package. Your choice of a Wedge or Box frame, each style in 2 different colours. The Portrait Box comes in 2 different colour options. A $200 deposit is required to book your Mother’s Day Package, dates can be before or after Mothers Day. Balance is due at your viewing appointment. Or if you prefer to give Mum a Gift card, I can arrange one for you. (Gift cards are for the full amount and are not redeemable for cash). Hair and Makeup can also be arranged for additional people $180/adult or Light Hair and Makeup $80/child. Call today for more information or to book your personalised photoshoot. What would you like to know more about? Or what time best suits you for me to call you? If you love what you see, you can check out the other beautiful options I have in my studio.